On Friday evening, the Mint received both the Cultural Tourism Award and the Visitor Experience Award. This honour marked yet another successful year for the Mint, welcoming over 330,000 visitors, including 60,000 school students, to learn about a key Australian cultural heritage institution. 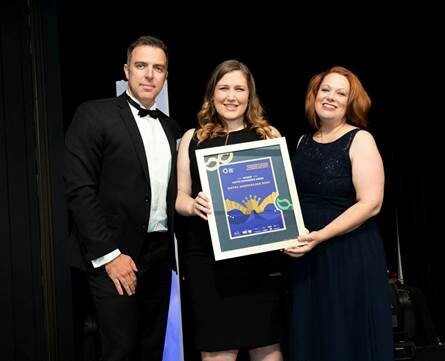 The Cultural Tourism Award recognises tourism operations that foster a greater understanding and appreciation of authentic culture, history, heritage and/or the arts. 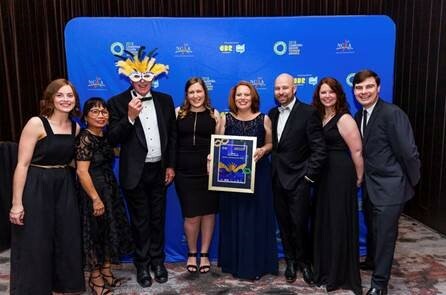 Mint CEO, Ross McDiarmid, said that these awards highlight the Mint as a thriving tourist destination and acknowledges the dedication of staff, including its vibrant Education and Visitor Services Team. “The Mint is committed to contributing to the Canberra tourism sector and providing world-class tours of our facilities, unique educational opportunities and sharing some of the most significant stories in the nation’s memory through our currency and extensive coin collection. Our staff and Education and Visitor Services team’s creativity, innovation and drive is foundational to the meaningful experiences that visitors have and continue to look forward to when visiting the Mint,” he said. Education and Visitor Services Manager, Kate Landford, also noted the team’s passion for educating the public and how rewarding it was for them to receive the award. “Staff at the Mint are incredibly proud to provide the public with an exemplary education and visitor experience. We love talking about coin currency and we are grateful to be recognised for our efforts in sharing such an iconic and innovative institution with local and international visitors,” she said. The Royal Australian Mint is open every day, except Good Friday and Christmas Day. It offers free parking, free admission and free scheduled public tours. The Mint is a must-see attraction - visitors to the Mint have the chance to see where every single Australian coin in the pockets of millions of Australians is made and the factory-viewing platform enables a rare and rich insight into its work, an opportunity offered at very few mints in the world.